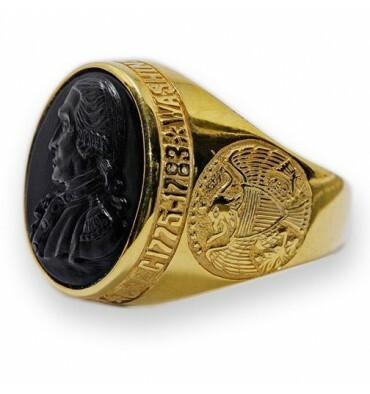 A Black Onyx George Washington ring hand sculpted with eagle shoulder designs. 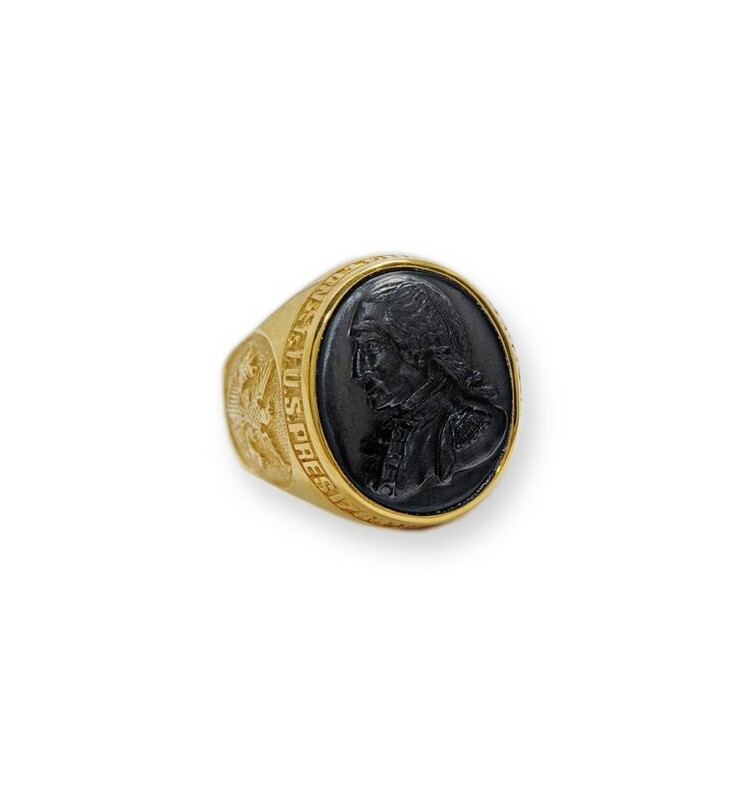 The well known profile of George Washington, first president of The United States, has been carefully sculpted by hand to high quality black onyx. 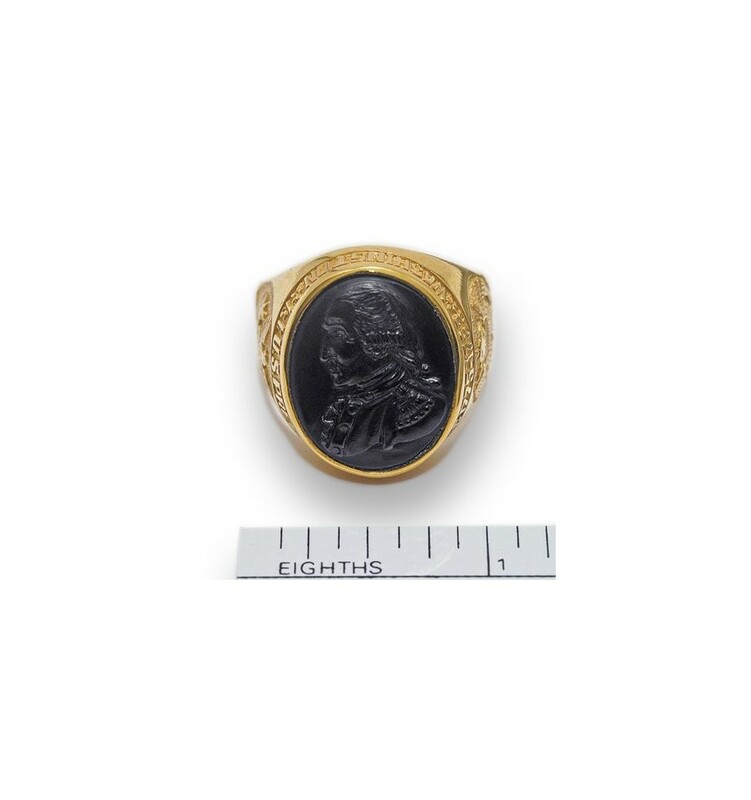 The crown lettering is *WASHINGTON*1stU.S.PRES 1789-1797*C.I.C 1775-1783 and 2 different eagle motifs embellish the ring shoulders to complete this very special ring. 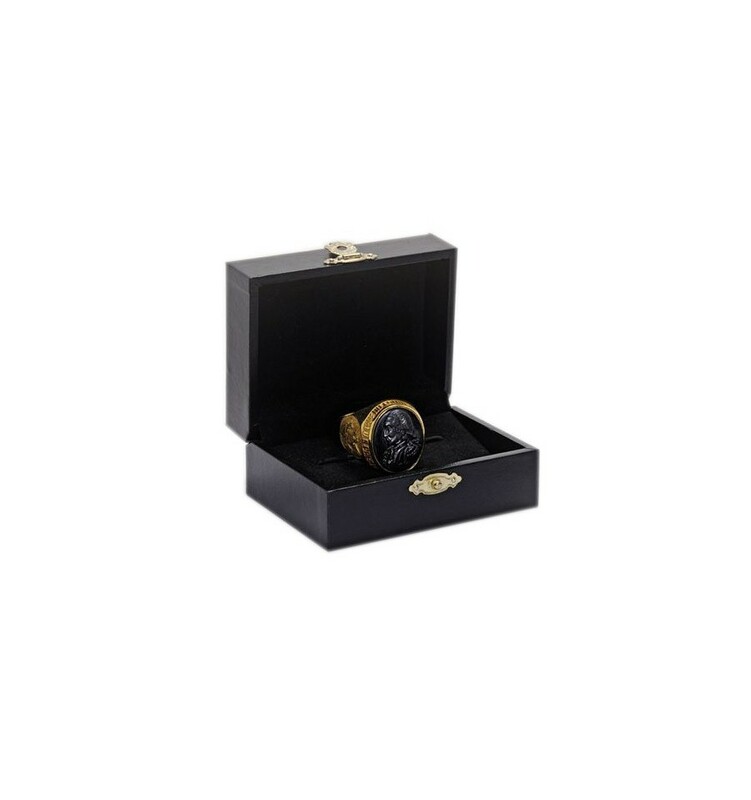 This prestigious and distinguished ring was designed by our America associates and ourselves. 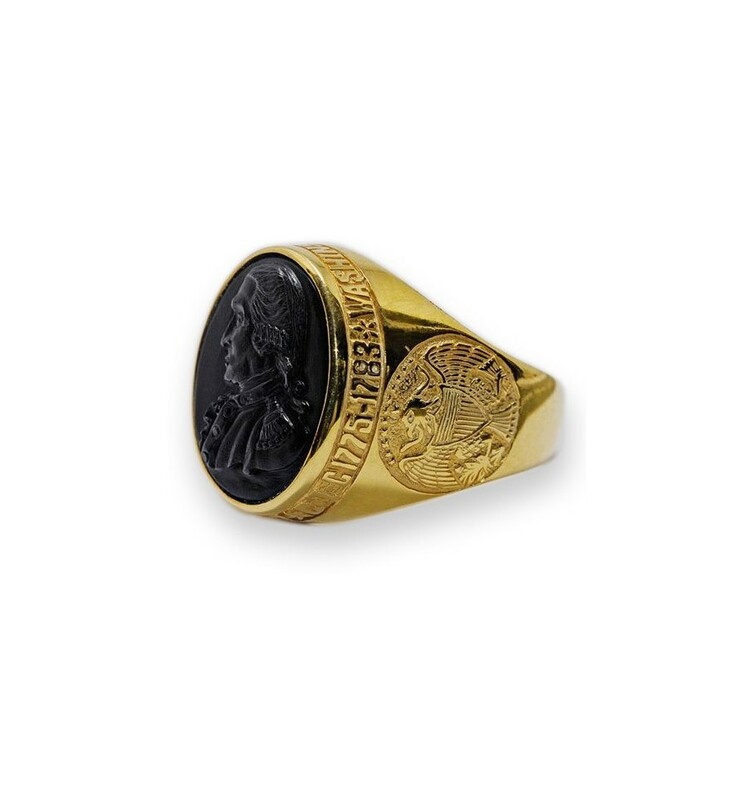 It was inspired by The American Patriots of the Revolutionary War and Commander-In-Chief of the Continental Army and First President George Washington. 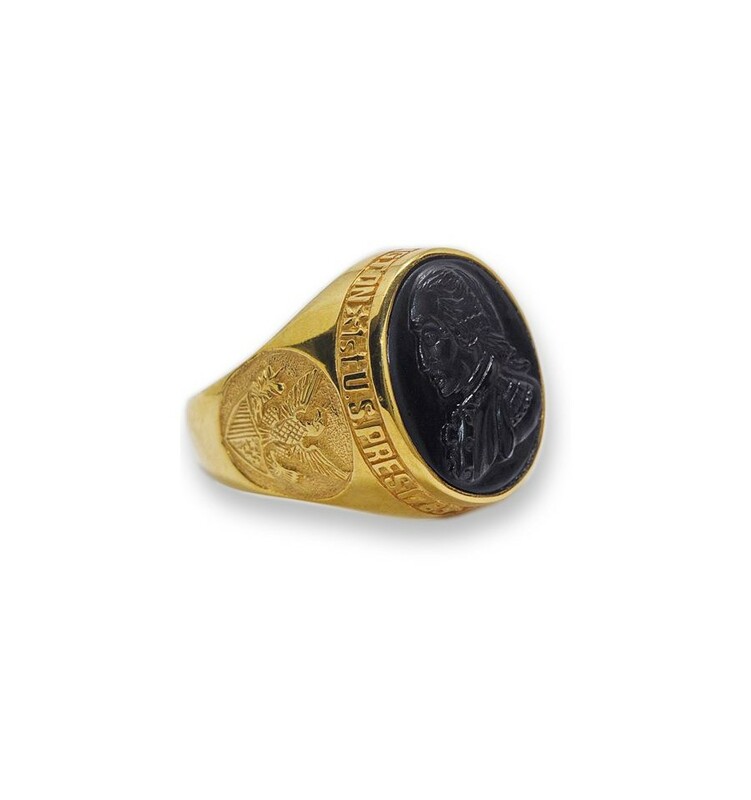 A patriotic ring to be treasured and worn with pride. That's why our high quality products are so affordable.